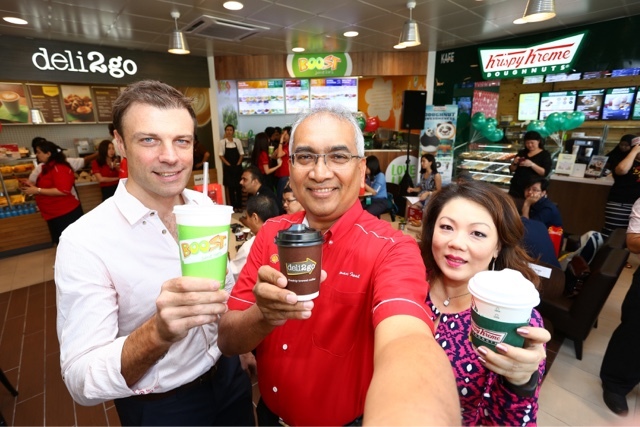 Left to Right – Nick Tiernan, Owner, Boost Juice Malaysia, Datuk Azman Ismail, Managing Director, Shell Malaysia Trading Sdn. Bhd. and Shell Timur Sdn. Bhd, Ms. Yau Su Peng, Director of Retail, Berjaya Corporation Berhad. 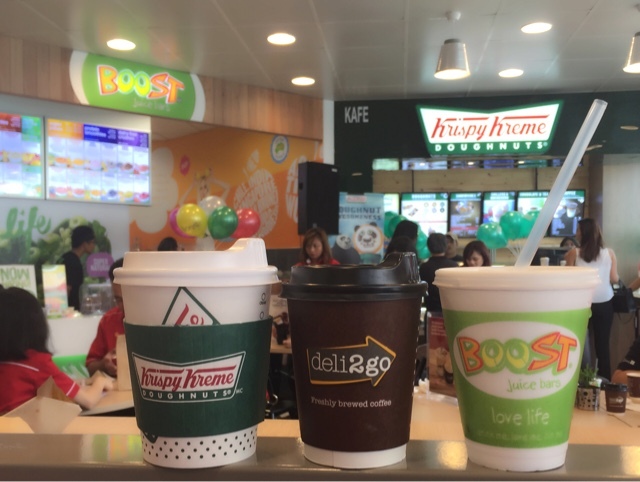 The launch of the first model of this retail concept brings together popular snack and beverage franchises like Krispy Kreme and Boost Juice to SH Shell Damansara Jaya, in addition to the freshly baked pastries and coffee on-the-go from deli2go. 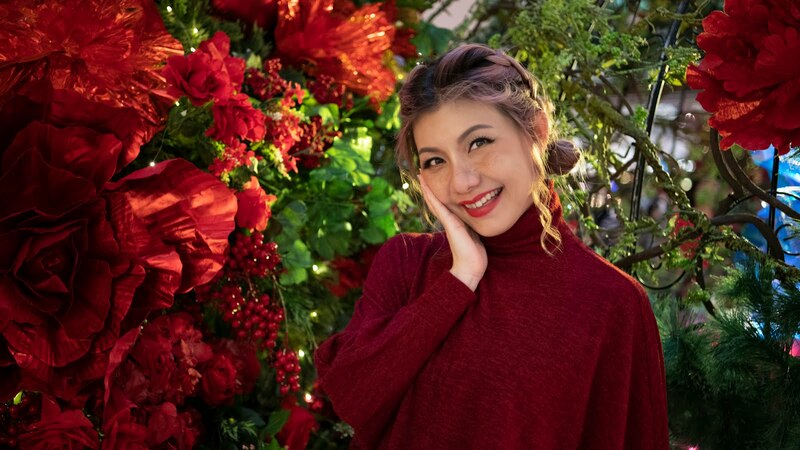 Although SH Shell Damansara Jaya is the first station upgraded, Shell intends to roll out the new retail concept to 30 more stations over the year with different food offerings to meet the needs of consumers. An additional 100 existing Shell Select stores will also be refurbish to a modern revamped look, featuring improved facilities such as seating lounges, complimentary Wi-Fi and charge stations, upgraded restrooms and suraus (prayer rooms) available at top-of-the-range Shell stations. Customers can also buy two seasonal pastries including the butter gipfel, chicken sausage doughnut and honey barbecue sausage roll from deli2go at only RM6.90. 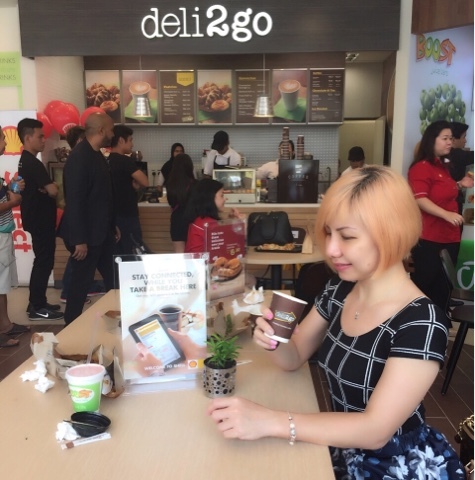 For a limited time only, pay only RM3.90 for a cup of hot or iced freshly brewed latte. Get a free fuel voucher for every lubricants purchase from Shell Select. You want coffee, Juice or me? That's why I like SHELL! Can enjoy different drinks whenever you feel bored while driving! I read this in the newspaper recently. I believe they operate 24/7. 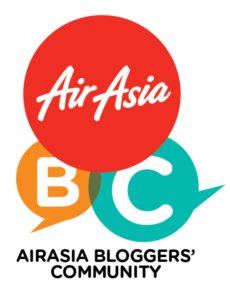 Good for those who travel long distance. Great Launching! Great for long distance traveler like me.So many varieties of items here. This is good for those who travel long distance and they need a coffee or toilet break. Like their promos as well. Ahhh...now shell got so many drinks!! Me like! 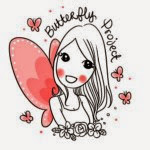 love the concept! More choices of F&B! Better than last time, great news for those travelling through the night! wow. i really love all the petrol stations coming out with the creative ideas about juices etc. 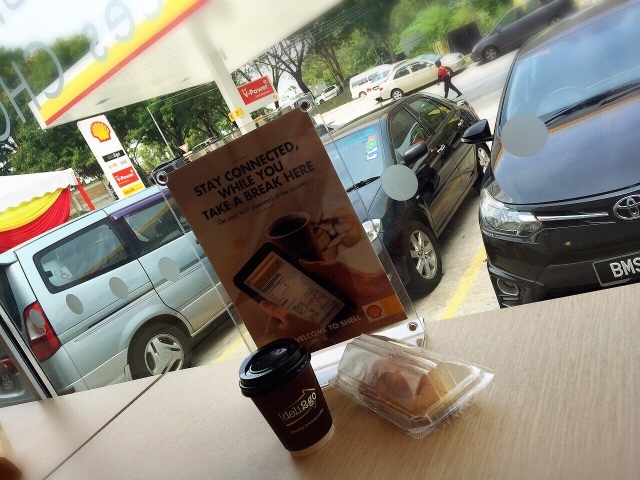 I hope Shell gonna upgrade the stations in Sarawak and Sabah too. The stations there are in dire need of face uplifts. This is great for all those who are traveling and on the road dear - fantastic to know that shell is expanding.